Deciding to move a loved one into an aged care facility can be a time of stress, high emotions, and uncertainty for the future. It’s a challenging and emotional decision for the person moving, their family, friends and carers. 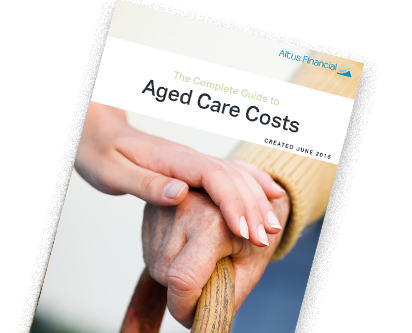 Many people make important financial decisions about funding aged care, without speaking to a professional. Most people don’t even understand the options available to them, because there is pressure to make immediate decisions to immediate problems and circumstances. We’ll help you make the right financial decision so you can safeguard and preserve your wealth. Estate planning is about a lot more than having an up-to-date will. A good estate plan will structure your estate so you can distribute your assets according to your wishes, protect your family’s interests and minimise tax. If you have assets of any kind, you really need to consider an Estate Plan.